Our long-term vision of beauty is part of a unique approach to aesthetics, driven by professional know-how and advanced diagnostics taking into account the environment and the skin's natural rythms. A unique way of cleansing the skin, it adds radiance and makes it more receptive to the active ingredients used in the treatment. For all the product expertise Esthederm Institute and the benefits of care in institutions near you . 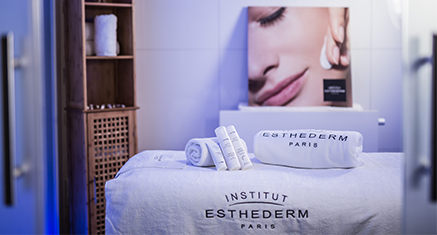 Institut Esthederm offers a range of spa treatments based on exclusive techniques inspired by physiotherapy and osteopathy to ensure immediate and long-lasting results. Our long experience in professional aesthetics means that you can rest assured we will look after your skin. In our hands, your skin will learn day after day to adapt to the environment and resist the test of time.